That's where this Golden Boy is now!!! He won his 7th gold after winning the 100-meter butterfly by 100th of a second clocking in at 50.58 compared to the 50.59 of the second placer. Whew! 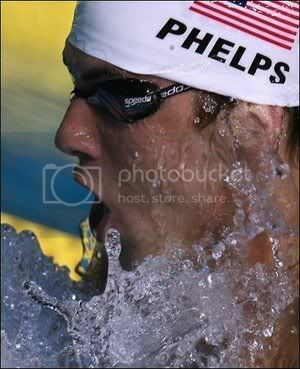 He finally tied Mark Spitz's record of 7 medals in the 1972 Olympics. So the quest to break that record continues. will he be able to win that within reach '8th' GOLD????????? I surely hope so!